With Christmas not too far away it’s a very busy time here at Boo Cottage Botanicals. We had a great summer with lots of events and fairs where we got to meet so many people who had lovely things to say about our products. Since then we’ve been focussing on getting our range into a number of shops in the South West and now we’re gearing up for a really busy time in terms of Christmas fairs. 18th – 20th November - Christmas Craft and Gift Fair, National Trust Knightshayes Court, Tiverton, Devon. 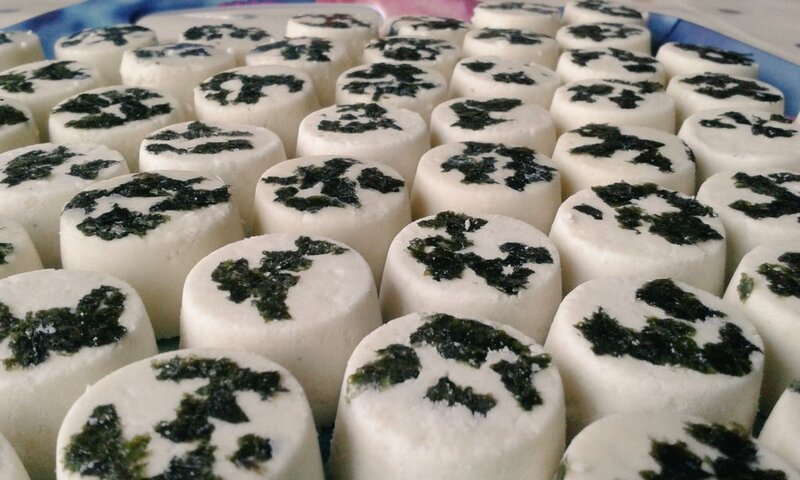 Our Bath Truffles - think Bath Bombs with added luxury - are the perfect stocking filler. 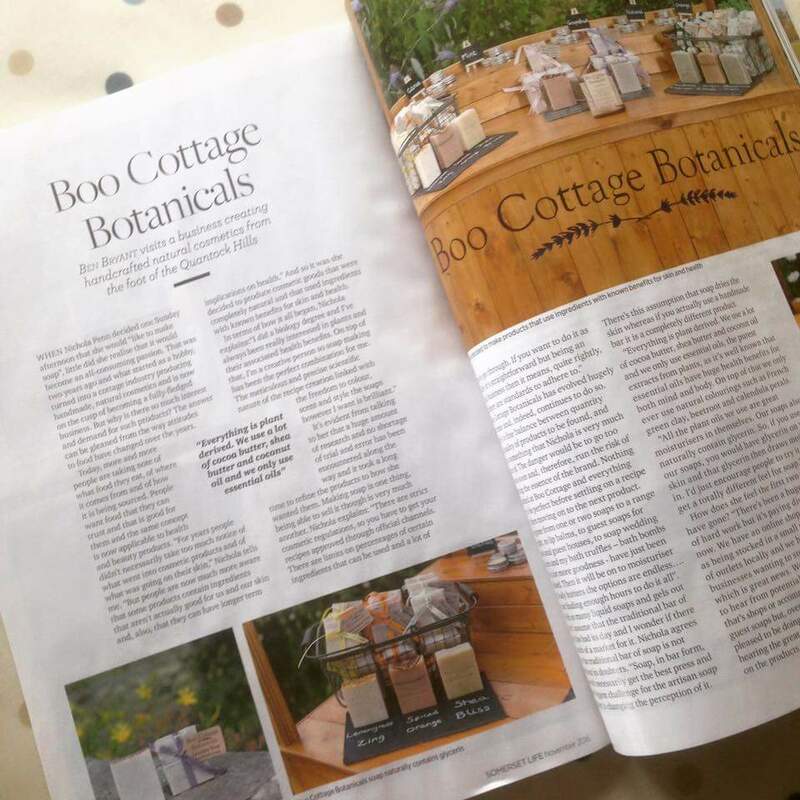 We were thrilled to have a double page spread in this month's Somerset Life. It really helped raise awareness of who we are and what we do. We're delighted with the response we've had. 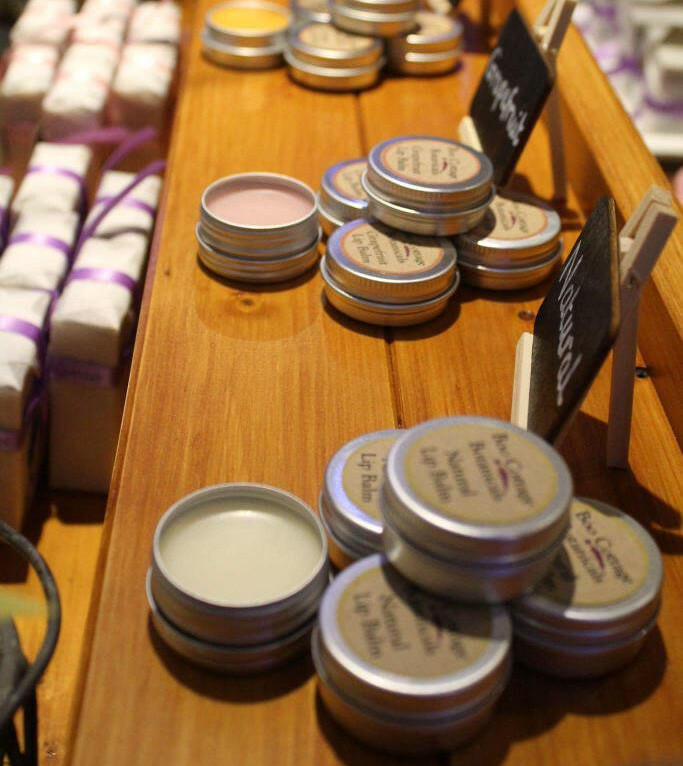 With winter coming our lipbalms - with their sweet almond oil and beeswax base - are perfect for looking after your lips in the colder weather. 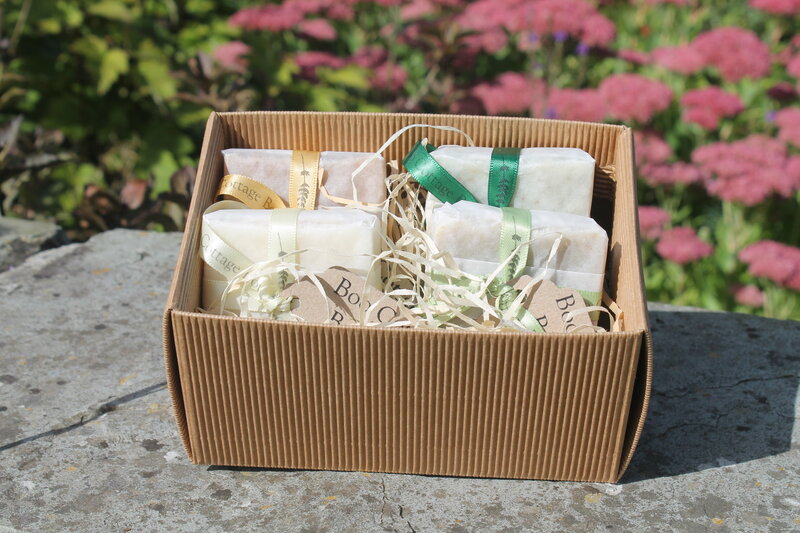 Our Four Soap Gift Box is proving very popular and makes a lovely present for someone. To see our full range of goods just visit our website by clicking the link below. You can also keep up with what we're doing by following us on social media. Copyright © 2016 Boo Cottage Botanicals, All rights reserved.